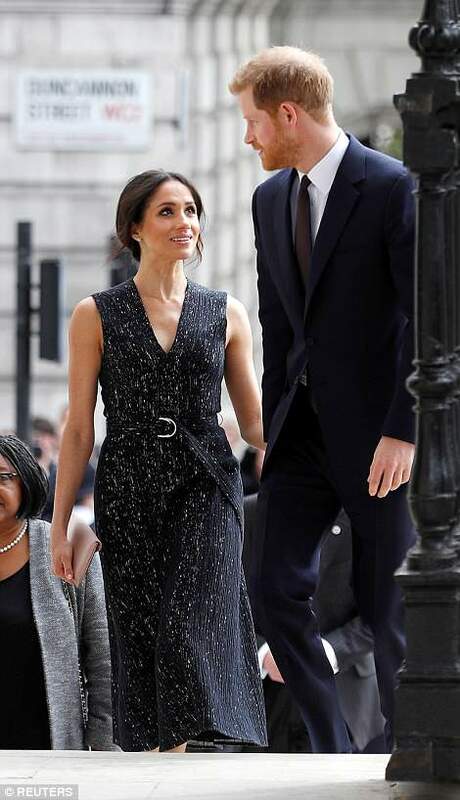 Prince Harry and Meghan Markle today made their first public appearance since becoming uncle and aunt to the Duke and Duchess of Cambridge's third baby. 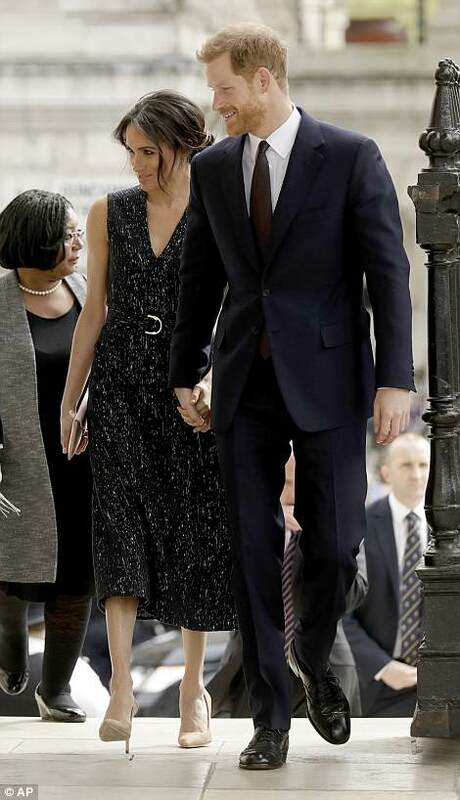 The couple arrived at St Martin-in-the-Fields church in London this afternoon for a memorial service to mark the 25th anniversary of Stephen Lawrence's death. Hand in hand, they stopped outside to speak with the murdered teenager's mother Doreen Lawrence, now a peer sitting in the Lords, and her son Stuart. 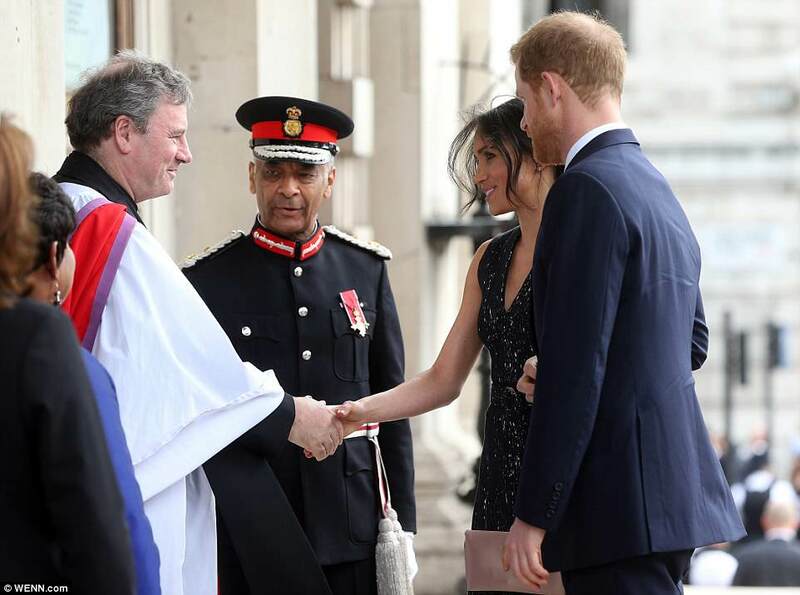 Harry will read a message of support on behalf of the Prince of Wales, who in 2000 gave the annual Stephen Lawrence Memorial Lecture which began with a tribute to the Lawrence family. 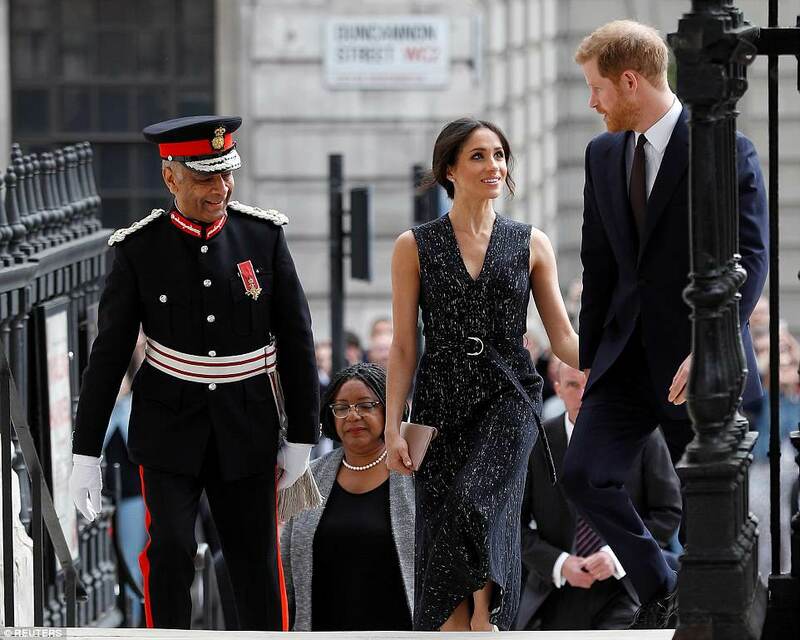 The royal baby, who was born at about 11am at St Mary's Hospital in Paddington, London, has arrived just over three and a half weeks before the royal wedding. Harry and Meghan are due to tie the knot in St George's Chapel at Windsor Castle in Berkshire in only 26 days' time on May 19. The Duchess of Cambridge is expected to be attending but, with her baby son only a few weeks' old, she is not likely to stay for the entire celebration. Today, the life and legacy of murdered teenager Stephen will be celebrated by national figures during the memorial service marking the anniversary of his death. 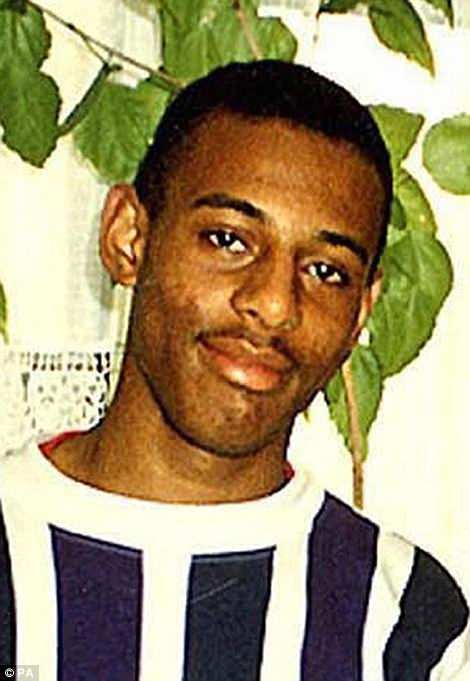 The murder of the teenager was a watershed moment in modern race relations in the UK, after the subsequent Macpherson Report into the case concluded the police made mistakes and were guilty of 'institutional racism'. The 18-year-old murder victim was fatally stabbed by a gang of racists in Eltham, south-east London, on April 22, 1993. David Norris and Gary Dobson are both serving life sentences, while three other men who have consistently been accused of the killing but never convicted are Jamie Acourt, 41, from Bexley; his brother Neil Acourt, 42, who uses his mother's maiden name Stuart, and Luke Knight, 41, both from Eltham. Scotland Yard has admitted it has no new lines of inquiry in the investigation into Stephen's murder. The force has said that unless detectives receive new information the investigation is 'unlikely to progress further'. Earlier this month, before the update from Scotland Yard, Stephen's mother Baroness Lawrence told the Daily Mail the investigation should end.